Location: Conference Room 821, College of Optical Sciences, Meinel Bldg. Seats: 25 available seats in each session. First-come, first-served. Note: This special workshop is available thanks to Bob Schalck’s generous offer. Please, respect this thankful opportunity by signing-up only if you are going to attend the actual workshop. Robert Schalck is an Optical Development & Research Engineer. While attending high school in New Jersey he traveled to New York City weekly to attend the Hayden Planetarium’s telescope making class, where he made his first telescope mirror and became one of the youngest members in their Optical Division. He attended Citrus College in Glendora, California where he studied to become an optician in the precision optical industry. In 1970, he was hired at Tinsley Laboratories as an Optician / QA Technician. He worked on optics for the military, private industry and universities. He was part of the team that made the optical systems for NASA’s spacecraft, Mariner 10, Viking I and II Mars Orbiter and Lander and Voyager I and II. (The backup optics were later used on Galileo, Cassini and Dawn) In 1975, he worked at Spectra Physics as a supervisor in the inspection department. From 1976 to 1993 he worked at Humphrey Instruments, first as a QA Manager, then as Master Optician and finally as an Optical Research Associate, under Dr. William Humphrey, designing and building optical systems. In 1988, he designed and built a catadioptric telescope using all-spherical surfaces, the Schalck-Newtonian. From 1993 to 2006, he worked at Optical Coating Laboratories Inc. in the precision molding department and then in 2001 he was assigned to the research department. As an Optical Development & Research Engineer he worked on measuring optical coatings and developing optical test systems. From 2006 to 2012 he worked at Hardin Optical as an Optical Development Engineer. During his career, he served as both an optical resource and mentor willing to pass on his broad knowledge of optical design, optical testing, manufacturing, quality and customer service to engineers, production and manufacturing staff. 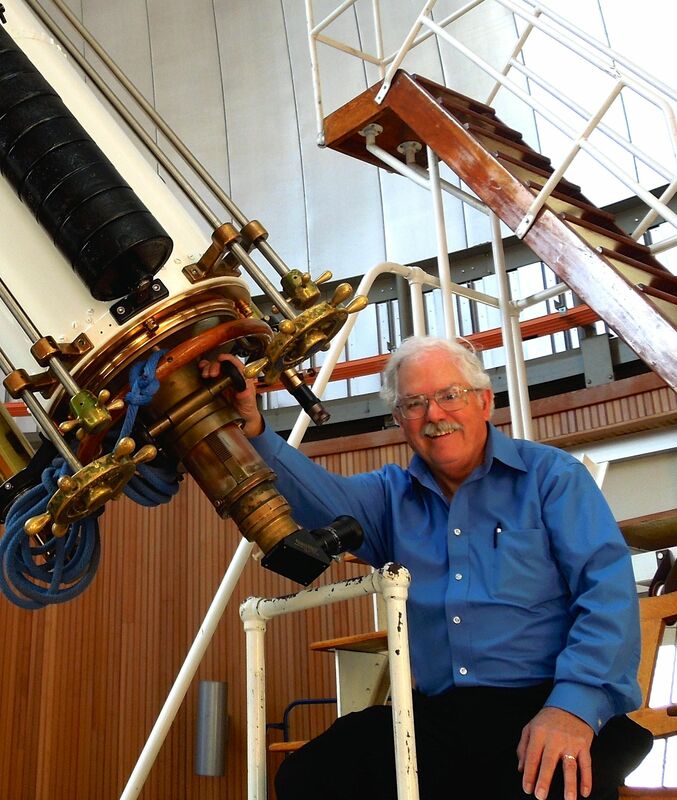 For over 30 years, he volunteered teaching the Telescope Makers Workshop at the Chabot Space and Science Center. He helps maintain the telescope optics for the 203mm and 508mm refractors at Chabot and have written several papers on cleaning and testing their optics. He was the past President and Broad Member of Eastbay Astronomical Society, Founding Member and Vice President of Astronomical Association of Northern California and Fremont Peak Observatory. He was a Board Member for the Western Amateur Astronomers representing EAS, AANC, and TMW. He was a judge at the Riverside Telescope Makers Conference for 30 years. 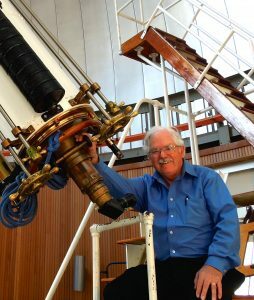 For his service to amateur astronomy and telescope making, he was awarded the Helen Pillans Award from the Eastbay Astronomical Society, the Clifford Homes Award from Riverside Telescope Makers Conference and the Astronomical Association of Northern California Award. For his work in optics, support of the optical industry and volunteering, he received Senior Memberships in OSA 2011 and SPIE 2012. He is the SPIE Author / Instructor of the book “The Proper Care of Optics, Cleaning, Handling, Storage and Shipping”. Over several decades, he gave presentations on how to clean telescope optics to groups and organizations. He is an avid amateur astronomer, telescope maker and a published / award winning nature and technical photographer. He lives in North Bend, Oregon.